Customer Reviews – Glen Ellyn, Carol Stream, Wheaton, LaGrange, Hinsdale, Western Springs & MORE! Let’s be honest…nowadays, it’s sometimes difficult to find a company that genuinely cares about their customers and provides the best customer service possible. We hear so many horror stories about people dealing with outrageous pricing, rude and pushy sales associates, poor quality products, terrible customer service, and so on and so forth. We get it, it’s hard to trust a company that you don’t know, let alone the staff members. Most often, people use family and friend referrals for new companies to use for certain services that individuals need. DeSitter understands this and that is why we are very open and honest about the feedback we receive. ALL of our reviews our visible to the consumer on our website. Yes, you read that right. ALL of them. That means you can see the good and the bad. We don’t try and pretend that we are perfect. We are a company run by people and by our human nature, we sometimes make mistakes. There truly is no perfect business or person out there. However, we feel that if we lay it all out on the line for customers to see, the positive and negative reviews, that you will see we are not trying to trick anyone and we are simply showing you what we have to offer. By seeing the good reviews posted, you know right away the positive characteristics that the DeSitter name and teams are associated with. By seeing the not-so-good reviews, you can see that we do sometimes make mistakes, but that we always find a way to work with the customer to admit our faults, remedy the situation and make it a point to show our side of the situation. There are always two sides of a story and to be honest, there will always be some individuals that only divulge their side of things and not show the whole truth. The fact that we respond to each and every review, you can see the sticky situations and how they were handled by our business and the consumer. We trust that putting these reviews on our site and allowing the public to see each review and response, that we can be very honest with our customers and show them the reasons why they should choose DeSitter for their flooring needs. We have been in business since 1920 and if we would have saved all the reviews since we opened, well, you’d practically have a complete volume of books to go through! 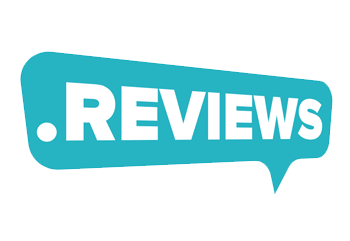 Unfortunately, we have only started the review system about a year ago, but in that time, over 350 customers have decided to leave their comments for all to see. We’re proud to be Chicago’s best reviewed Flooring Store and hope you’ll see for yourself! Click on the image below to be directed to our reviews! 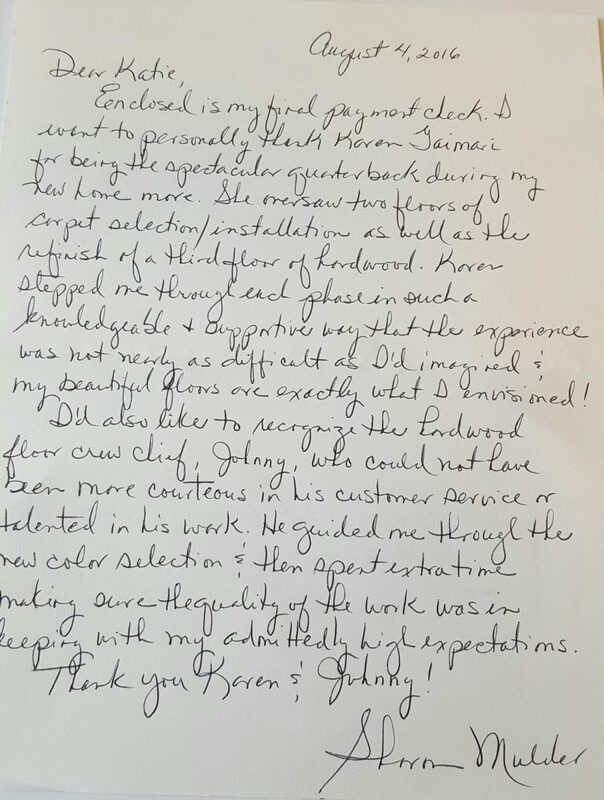 Take a look at this very sweet note sent in by one of our customers recently, definitely has us feeling accomplished, appreciated and proud! Using colors to enhance a particular mood…LaGrange, Western Springs, Hinsdale, Glen Ellyn, Winfield, Wheaton & MORE!